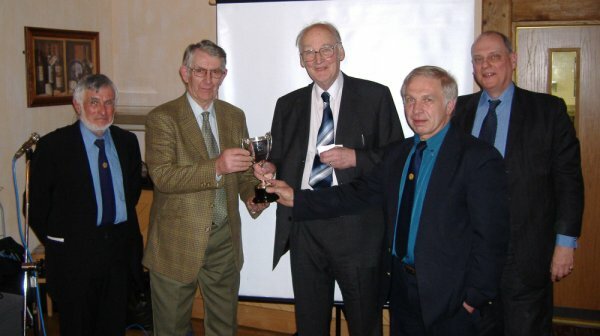 At the SDRA Annual Dinner and Draw the Patron's Cup which is awarded annually to an SDR volunteer has been won by Mr Peter Dunning who has been an active volunteer on the SDR and before that the DVR for over 28 years. Peter’s claim to fame is that he has seen Locomotive 1369 restored to full working order, complete 10 years service on the railway and now he is one one of the group who are actively working on the locomotive with the hope of having it back in traffic this season. Congratulations Peter from everyone on the SDR especially your colleagues in the SDR workshops.